A new Android version? Whatever. Times have changed. Our smartphones no longer need the operating system’s latest version. 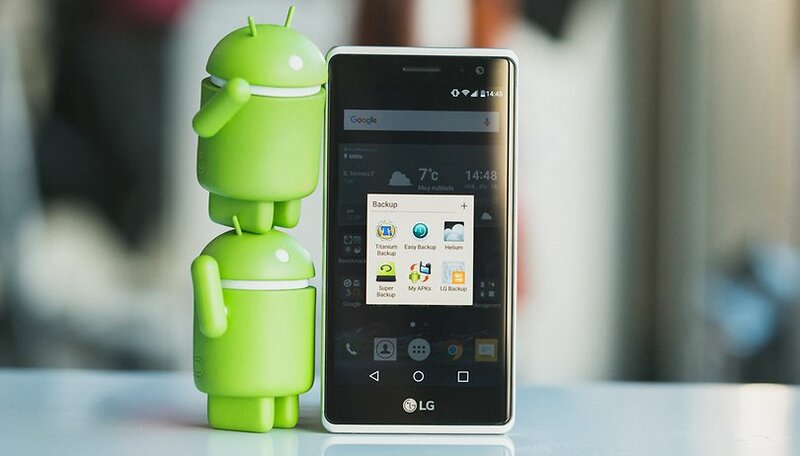 Here are some reasons why it's not absolutely necessary to use the newest version of Android. In March 2016, according to Google, only 2.3 percent of all Android smartphones were running Marshmallow, the latest version. However, more than 34 percent of devices ran KitKat and up to 35 percent ran Android 5.0 a.k.a. Lollipop. That's more than 97 percent of devices running older versions. What are the consequences of this? Absolutely none. There, I said it. At the same time every year a new version of Android appears, and seems to be installed on fewer devices each time. I can still remember the way it was back in 2013. I could not wait to finally install Android KitKat on my Galaxy S4. I almost squealed with excitement. I also remember the discussions between AndroidPIT readers on who had received KitKat and who were still waiting. Those still waiting looked online for instructions on how they could update their phones with KitKat custom ROMs. Expectations of network operators to push out the update as soon as possible was incredibly high. We have learned our lesson. The manufacturers of our smartphones created the device we bought, yet perhaps they will decide to not upgrade us to the latest version of Android. Marshmallow will not simply drop from the sky. We know that only a selection of Android users - such as owners of Motorola devices - will regularly receive new versions. Or we buy a new smartphone to get upgraded, which will probably not happen. That’s because our devices work. Why should we bother about something we can’t get anyway? The latest versions of Android often bring small, incremental changes. Both the design and the usability KitKat peaked. Following versions brought only minor performance improvements or design changes. Our devices work quite well without them. Although Marshmallow brings improved power-saving features, and with the exception of Nexus devices, changes to other devices are not so noticeable. Let’s assume you bought your last smartphone in 2014, or perhaps 2015. It’s probably running KitKat or Lollipop along with 1.5 GB or 2 GB of RAM. And the OS runs on it perfectly. An update is actually not so necessary. The quality standards of smartphone manufacturers work means our devices have fewer issues than ever before. If there’s a slight shortcoming, such as with the software, you could just install a different launcher. It’s not like iOS, where users who install each new version run into more problems than solutions. What is your opinion on getting Marshmallow? Can you wait to get a new Android version or do you not care? Let us know in the comments. The new app permissions structure alone is one MASSIVE reason to upgrade to 'M'. You do understand that each version brings stability improvements and bug fixes. do you even know what security breach means? Not really sophisticated on this stuff. On a tablet for my wife looking at a 16 GB cuz it has marshmallow or 32 GB with lollipop. Are you saying on a tablet you like lollipop better? If so why? Thanks. After a groundwork, if I think the new OS will be really helpful and it will run without any flaw on my target hardware and existing software, then I will do. Otherwise nope. Marshmellow is a horrible update. It will make Android Auto useless, spell check while texting is all screwed up, and many people get their contacts scrambled and unusable. I want to go back to lollipop!!!! I think Lollipop works great for me!! Don't downplay the biggest weakness on Android systems. I agree, feature wise, most updates are probably not necessary, but bug fixes and security are important. There honestly is no reason why every Android shouldn't all be updated. I think it is wrong to tell Android consumers that it is OK to buy a new phone and NOT expect any updates for it. The "disposable" mentality that this creates in consumers is the wrong message to throw out there, and Android OEMs bank on it. We should be pushing OEMs to put more focus on creating exceptional products that will be supported for at least 2-3 years. Totally unnecessary to update. They were designed for the OS version it came with, so often times more problems are introduced than solved. Many apps will malfunction. We get too captivated by newness and the greener-grass syndrome. As we get maturer and more experience as a culture these hypes will eventually fade. I actually regret updating my LG V10 to MM. I wish i be a way to permanently reject such updates. If it ain't broke don't fix it. "We get too captivated by newness and the greener-grass syndrome." And that is what OEMs are counting on. By slapping together a half-baked upgrade that they know will cause issues, they have garaunteed that their newest phone with a proper working updated OS will sell. Mostly likely your opinion stems from a bad experience with your LG V10, but you do have an interesting point. A lot of updates are rushed and/or not well optimized, therefore wreaking havoc on devices. That's what it was made for !!! Ever since (inadvertently) installing Marshmallow on Galaxy S6 Edge, I cannot make voice calls on WhatsApp: shortly after connecting, the message "Reconnecting" appears - permanently. Subsequent WA calls to the same number don't even appear on the recipient's phone and on mine shows "Calling". Voice calls via Skype display the message "No internet connection", while every other app (e.g. Facebook, email) connects to the internet without problems. Am currently using an old Galaxy S3 running Android 4.3 and WhatsApp 2.16.13 to make voice calls - works perfectly. I have the galaxy s7 but I still couldn't agree more with this article. I've never owned a device that ran better after an update. In fact battery life and snappyness usually takes a small hit. With the exception of small bug fix upgrades the one that came on your phone is the one usually best for it. This article is the reason I buy Nexus devices and root it immediately. That way I'm not beholden to the cell monoliths that could care less about me keeping my phone because it gets better every time its updated (usually). Wouldn't the carriers have a vested interest in NOT updating? You want the next version, well you can certainly wait and wait and wait or you can buy the new xyz and give us your money. I've been on M since the day the factory images came out and may even try the N beta. I have started with Kitekat, and than upgradet on Lolipop and since october last year i'm on Marchmallow. with every upgrated there were some bugs, buth my opinion is, that every upgrated is worth.